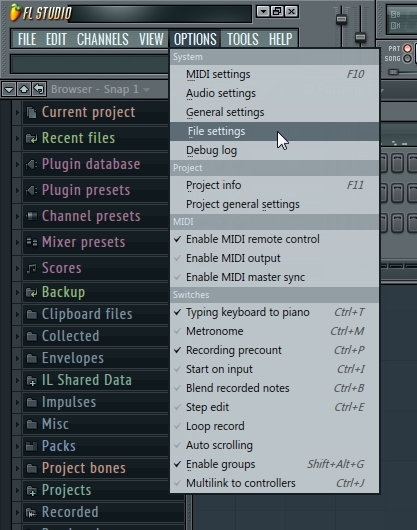 From the top menu, choose Options > MIDI Settings. 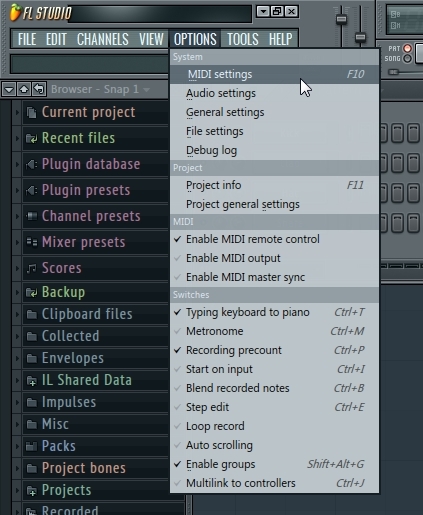 In the window that opens, choose the MPKmini2 under Output, choose the MPKmini2 under Input, and click on the box next to Enable as shown in the image below. 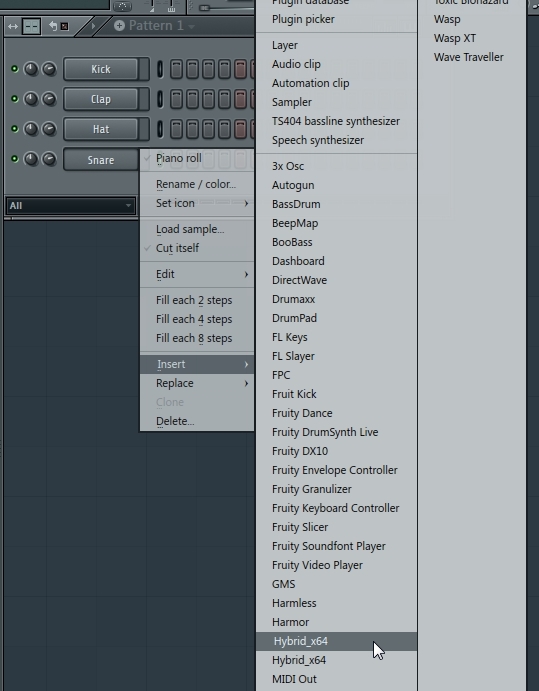 Also, to ensure synchronization for functions such as the Arpeggiator, click on the box next to Send master sync and ensure Synchronization type: is set to MIDI clock. 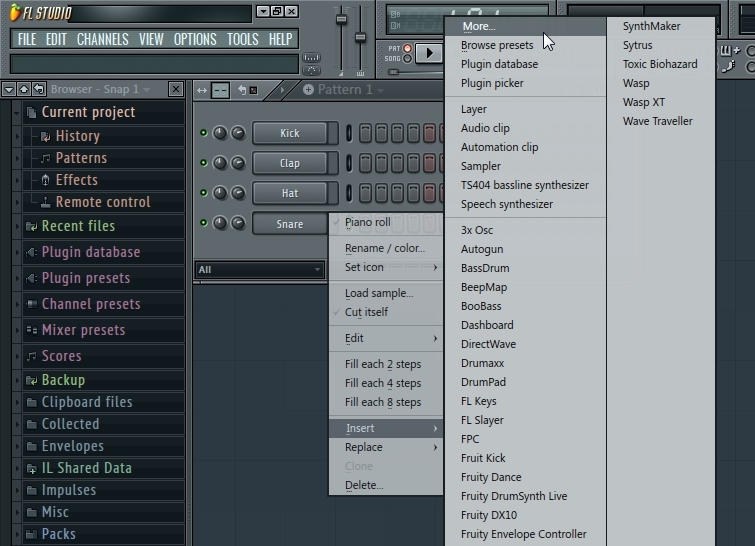 From the top menu toolbar in FL Studio, choose Options > File Settings. 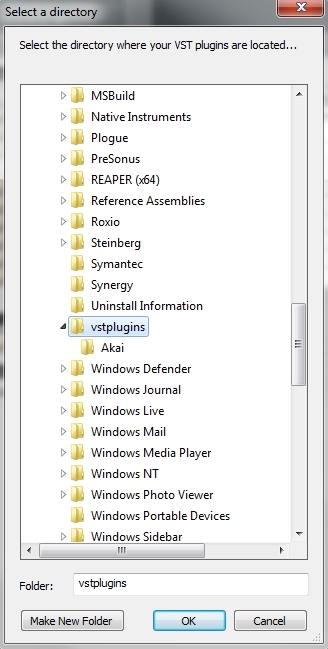 In the window that opens, click on the button under VST plugins extra search folder. 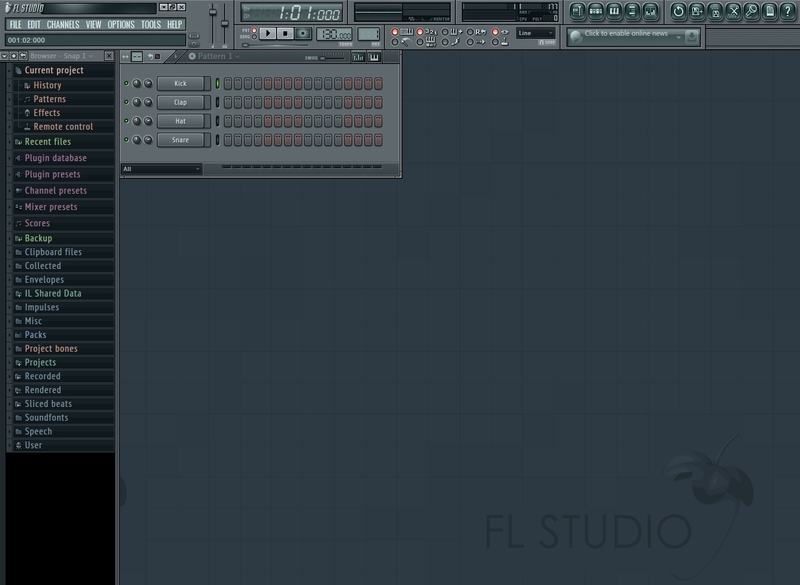 Browse to the location of your installed VST plugins and press OK.
FL Studio does not allow for native use of VST instruments however, FL Studio has a built-in VST wrapper which does allow for the inclusion of third-party VST instruments. 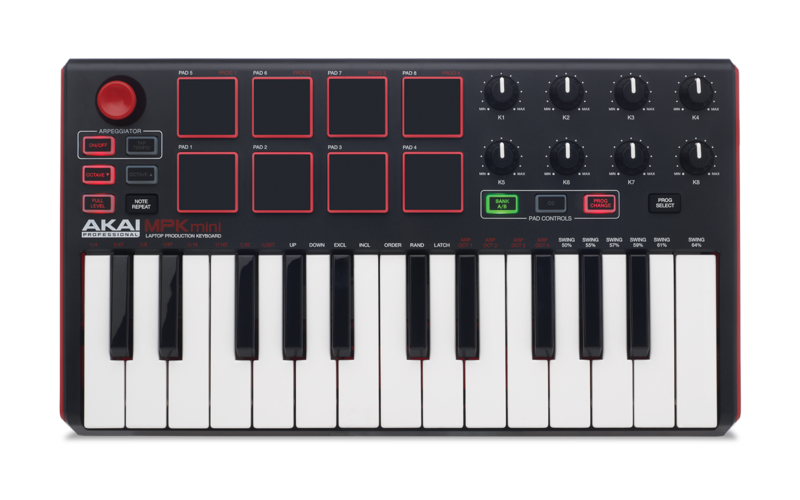 Because of the use of this wrapper, Hybrid 3 can open and be used in FL Studio, however the MPK mini MKII series controller will not automatically map to the various functions in Hybrid 3. 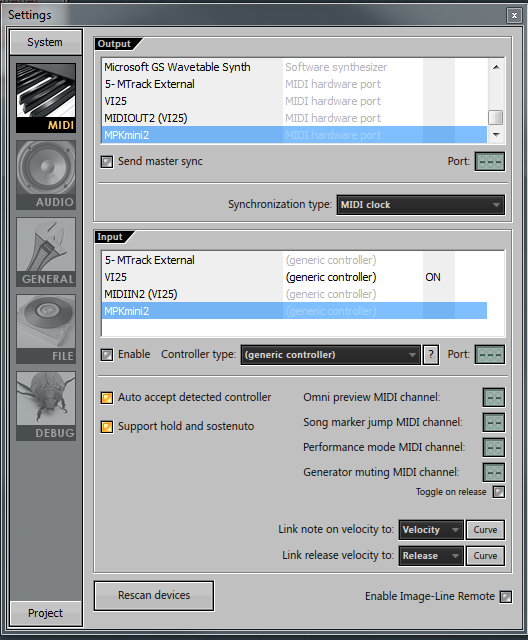 To load Hybrid 3 in FL Studio and then manually MIDI map various controls on the MPK mini MKII series controller to Hybrid, follow the steps suggested below. 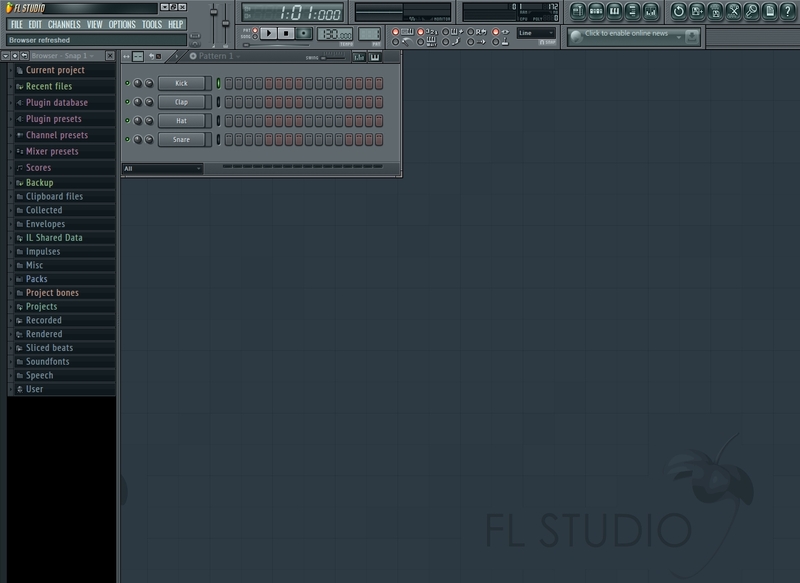 In the window that opens, locate Hybrid and/or Hybrid_x64 and click on the box just to left of it to add an F to the box and allow FL Studio to use the plugin. 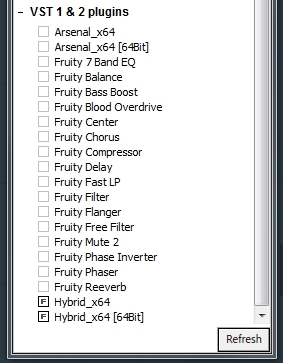 If the plugin name is red, that is because it is the first time the plugin has been scanned and added to the FL Studio plugin list. Close the Select generator plugin window. 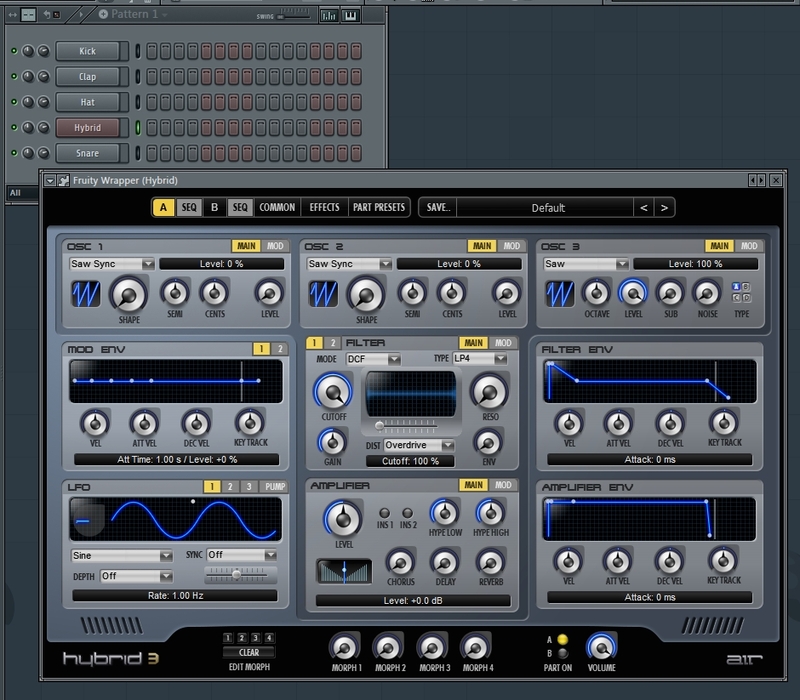 A new instrument insert will be created and the Hybrid interface will open.